The Castle of Rohan is a former castle and weapon factory located in the town of Mutzig, Alsace region. 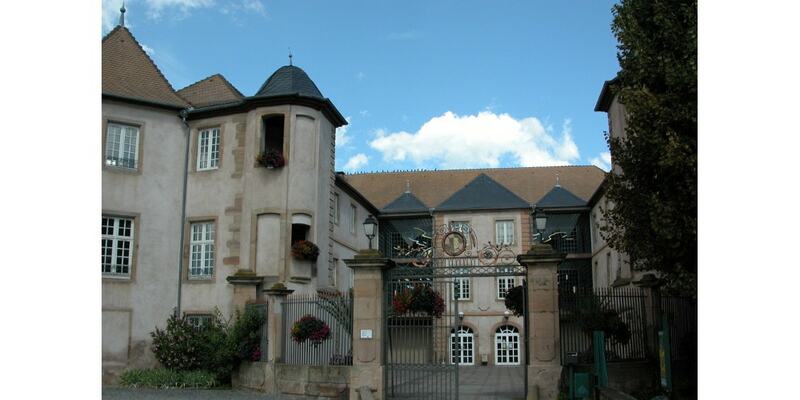 It is not to be confused with the neoclassical palace in the city of Saverne, also called Rohan Castle. Both of these buildings are associated with the House of Rohan. The history of the castle began in 1274, when Rudolph of Habsburg built the first fortification. This moted-castle was destroyed by Swedish troops during the Thirty Years' War. The present Baroque structure was constructed in the second part of the 17th century as the residence of the Bishop of Strasbourg. After the family of Rohan took over the bishopric of Strasbourg, the castle served as their residence until the middle of the 18th century when the palace in Saverne was completed; from that time, the castle in Mutzig became of secondary importance to the family. The building was plundered during the French Revolution. In 1799, the castle was bought by two arms manufacturers, the Coulaux brothers, who opened a weapon factory in its walls. This famous factory ran until the outbreak of the Franco-Prussian War in 1870. It is here where one of the most advanced fire weapons of the time was fabricated: the Chassepot rifle. Today, the castle is serving as a museum, displaying a vast collection of historic rifles; it also houses a cinema and a library.